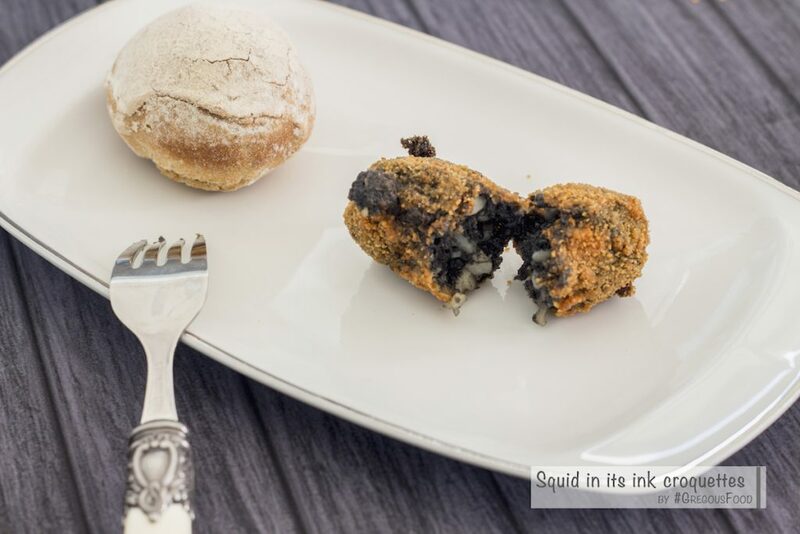 Next to my house there is a small bar where I had croquettes of squid in its ink. Delicious, really loved it. So I tried to do the same. It was very good but I still didn’t find the trick that she put in her own croquettes as the taste was still a bit different. Start by preparing the bechamel sauce that you will need to reserve in the fridge for 2hrs at least. 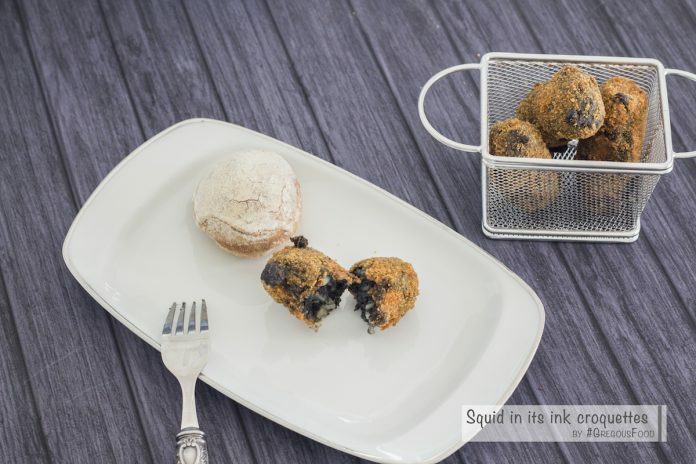 Once cold, add to the bechamel with the ink, reserve in the fridge before starting to form the croquettes. Prepare three deep plates with the flour, the bread crumbs and the beaten egg. 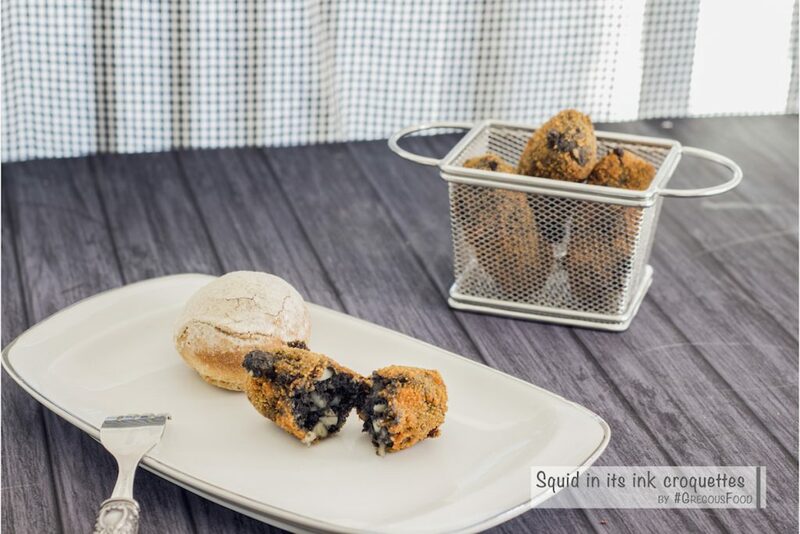 Form your croquette, try to have them all the same size. Fry in abondant and hot oil a few minutes until cooked. 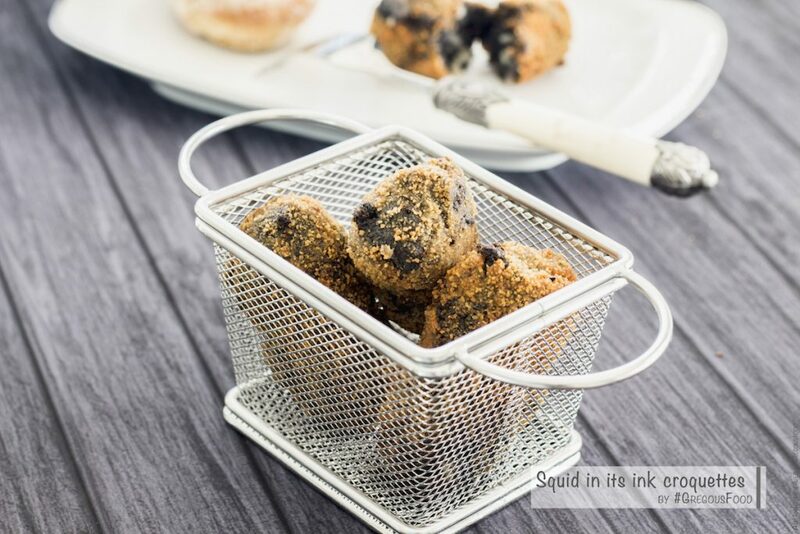 Let it cool on kitchen paper to remove the excess of oil.